Freddie started to teeth when he was about 2-3 months old. His first tooth cut through around 3-4 months old and he's now got 7-8 teeth at just 7 months old. All babies teeth at different ages and every baby deals with it differently too. Mia was great through teething, Elliw wasn't too bad but Freddie has been a nightmare. He's not a happy teething baby, at all. 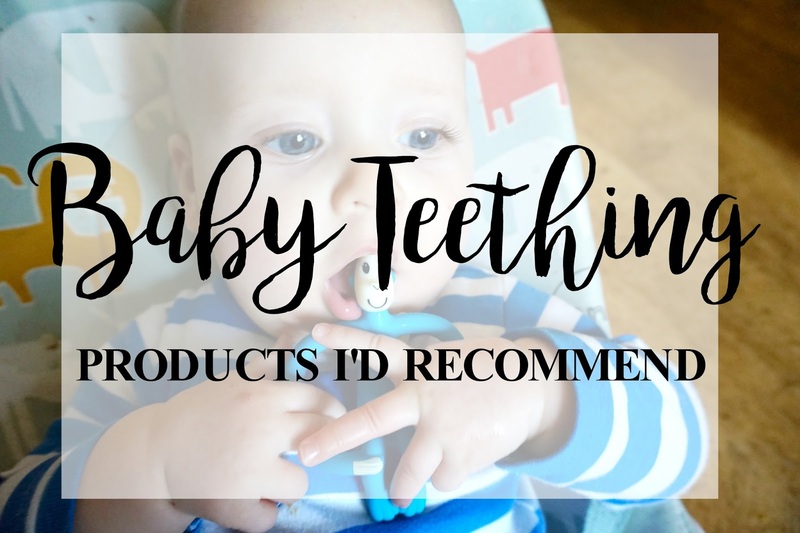 There are many teething products out there and although every single baby is different, here are my top three items that I recommend you to buy if you have a teething baby. Matchstick Monkey - This monkey teething toy is just adorable. Not only is it cute, it's also been Freddie's best friend since we received it. I wish I had known about it a lot sooner. This teether is perfect for their little hands and the monkey's head is great for baby to bite and also handy for adding some bonjela or any other teething gel to help soothe those gums. It can also be used as a toothbrush for those new little toothy pegs. If you've not heard of them before, check out my review here. Teething Gel/Powder - I have been using Bonjela on Freddie's gums to help soothe them. It's helped calm him down a few times. I was also given some Teetha powder by a friend to try out and they worked great too. You can buy some bonjela here or at any supermarkets. Sophie La Giraffe - This is another teething top that Freddie has loved in the past few weeks. I wouldn't say it's better than the Matchstick Monkey but he has loved chewing on the giraffe and I'm sure it does help soothe his gums. Bambeado Silicone Teether - Freddie has taken to this silicone teether pretty well. It is a little heavier than the other teething toys he has but he's better at holding and grasping things now. So he is able use this teether more. The teether is perfect for those little hands. It's super easy to clean and super cute too.